Many thanks to Jade Archer for donating an ebook copy of her forthcoming m/m scifi romance, Treacherous Sun (Nu Hayven, Book 1), for a lucky commenter to win! Treacherous Sun will be released on March 21 by Total-E-Bound. Mykel hates Lusaffar. Lusaffar hates Mykel. Which is as it should be. The way it’s always been between Aenjels and Deamonds. So why can’t they keep their hands off one another? When Orison’s sun mysteriously began to decay, the Intergalactic Council built a habitat ark to rescue the survivors. But it came at a price. Now Aenjels and Deamonds not only have to learn to live together aboard The Nu Hayven, they have to form the first Intergalactic Emergency Response and Peacekeeping Force. The only trouble is the two species have been at each other’s throats for centuries! Mykel leads what’s left of the Aenjel population. He’s homesick and heartbroken. He’s also going to kick some serious Deamond hindquarters if they threaten his people! Unfortunately, the biggest threat to Mykel’s sanity is the Deamond’s gorgeous leader, Lusaffar! Lusaffar has his own personal issues with Aenjels, but he’s not above relieving a little tension with their leader, Mykel. If only the great pretentious pigeon wasn’t burrowing under his skin and stirring up all sorts of disturbing things…like feelings! But even if these two stubborn males can overcome their prejudices, can the two most unlikely lovers in the universe survive a murderous saboteur in their midst? To enter, leave a comment stating that you are entering the contest. Contest closes 7 pm CDT, Friday, March 18. Posted by Chris on Thursday, March 10th, 2011, at 2:00 am, and filed under Contests, Reading. Now I’m gonna be very careful to get this right (cause I wouldn’t be surprised to see myself make the same typo): Please, count me in. I hadn’t gotten 2 words into the blurb until the premise was obvious. That said, I really love the use of religion as a myth or frame work for a story, so please count me in! It sure looks cute that way though, May. Angels and Demons in love/lust. Sounds very interesting. Please count me in. Thanks! Dare to be different Mayhem. It suits you regardless; pink is SO your colour! Sounds like a fun read. Count me in please 🙂 Thank you. Excuse me, Mayhem, but a Panther Princess should know. 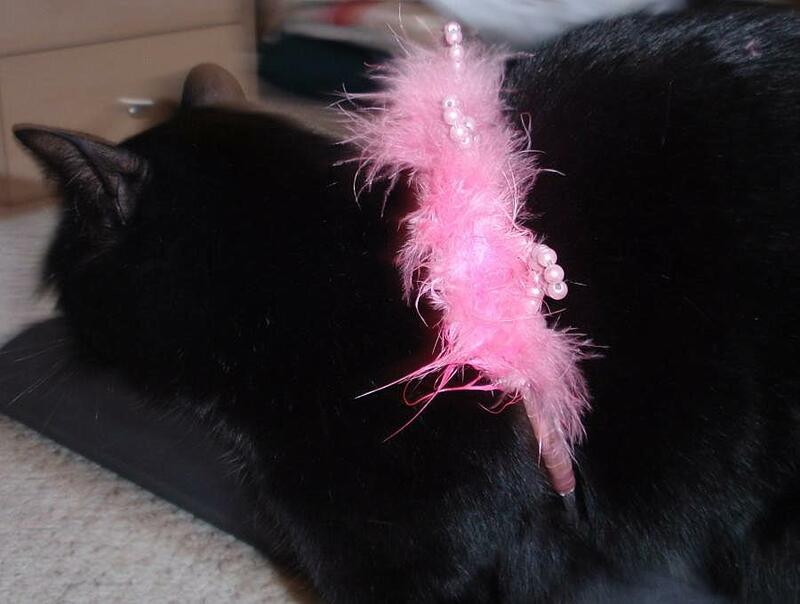 That tiara method works best for kitties, because then it doesn’t interfere with their ears being able to turn like satellite receptors. Mayhem- Pink feathers are so YOU! Please count me in as well – this looks great!! Mayhem – I think it depends how much water you’ve had, but tiara’s can be worn on more than just your head! m/m? yay? sci-fi? yay! sci-fi m/m? YAYAY! How those poor kitties haven’t got revenge on you in your sleep yet, I don’t know! Please count me in for this draw please, Chris. Interesting story. Hope to have a peek on the first before deciding on the second. Thank You. I’d like to enter to win. Sounds very intriguing. I love sci-fi romance. Please enter me in the contest.